Percutaneous discectomy (also known as nucleoplasty) is a minimally invasive alternative treatment for those who suffer from herniated discs. Back Pain is one of the most common conditions to afflict adults in the United States. 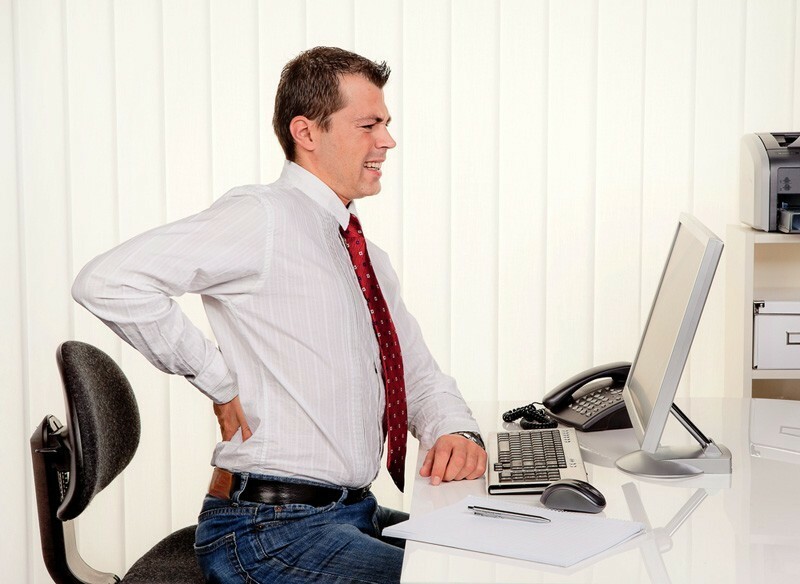 About 2% of the U.S. work force files for compensation each year due to back pain. In most cases, back pain can be remedied by hot and cold packs, physical therapy, chiropractic adjustments, and medication. Those who experience more severe back problems are often treated with opioids or invasive surgery. One of the most common causes of back pain is a herniated disc. A disc begins to herniate when its jelly-like interior pushes against the exterior due to significant wear or injury. The pressure caused by a herniated disc can result in chronic back pain, sciatica, and inflammation of the nerves in the spine. Patients who are experiencing back pain because of a herniated disc have reported that traditional forms of treatment are rarely effective. 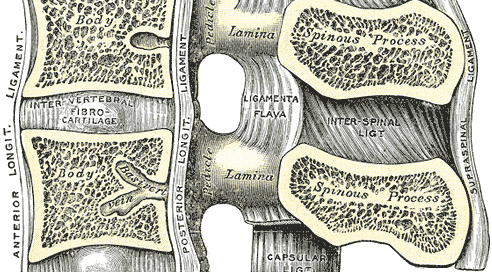 Many techniques have been developed in the past ten years that offer new treatment options for herniated discs in lieu of surgery. Percutaneous discectomy was designed to shrink or actually remove the material surrounding the herniated disc that is thought to be causing the pain and inflammation. Once the material is removed, patients experience pain relief and less pressure in the surrounding spinal nerves. Percutaneous discectomy is an outpatient procedure that takes about thirty minutes to administer once the physician has the needle or probe prepared. The procedure involves the removal of herniated disc material through a very small incision in the back. Patients remain awake during the percutaneous discectomy, but receive a local anesthetic to numb the skin beforehand. Using fluoroscopy, a small needle or probe is inserted through the back in order to gain access to the herniated disc. Once the physician has the needle or probe in the correct place, the physician uses heat or radio waves to diminish the size of the disc and remove problematic disc material. The removal of the material relieves built-up pressure surrounding the nerves as well as reduces the amount of pain from the herniated disc. Studies have shown that success rates of percutaneous discectomy are over 80%. Once the percutaneous discectomy has been completed, patients are moved to a recovery area for a short period of time and the physician monitors their pain. 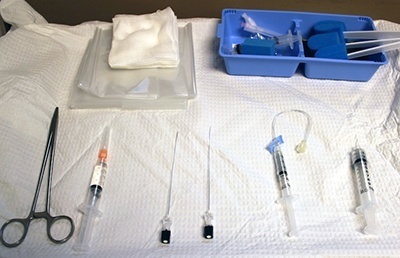 The area where the needle was injected may feel tender for 24-48 hours after the procedure, so heat or cold pack treatments are recommended. The physician may prescribe a small dose of pain medication for analgesia after the procedure. It is recommended that patients rest and minimize activity for 24 hours after a percutaneous discectomy treatment. Percutaneous discectomy is a treatment that allows patients an alternative to surgery. With only a local anesthetic and small needle puncture, there are fewer risks than surgery and the recovery time from this procedure is much shorter. This makes percutaneous discectomy a good option for patients who are not able to undergo surgical procedures due to other existing health conditions. The best candidates for percutaneous discectomy are people who are suffering from chronic back pain (pain lasting more than three months) and for those who have developed a herniated disc. If conventional forms of treatment have not been successful in these cases, a percutaneous discectomy is highly recommended before surgical options are explored. Patients who have limited mobility due to osteoporosis or other degenerative diseases may also benefit from this procedure. The removal of disc material and pressure surrounding the spinal nerves can effectively improve a patient’s physical and psychological functionality. Percutaneous discectomy is a new technique that appears to successfully provide pain and nerve relief in patients with discogenic back problems. 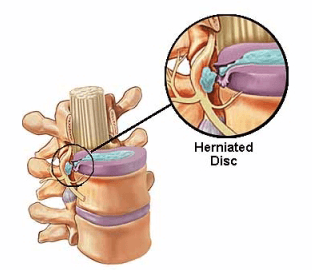 With the removal of problematic disc material, patients experience pain relief and improve mobility. The best candidates for percutaneous discectomy are those who suffer from a herniated disc or osteoporosis. This technique is also an alternative for patients who did not find traditional treatment options effective. Percutaneous discectomy is frequently recommended due to the procedure being minimally invasive and offering less risk than surgery. Chen Y, Lee SH, Chen D. Intradiscal Pressure Study of Disc Decompression with Nucleoplasty in Human Cadavers. Spine. 2003;28(7):661-5. Karasek M, Bogduk N. Twelve-month follow-up of a controlled trial on intradiscal thermal anuloplasty for back pain due to internal disc disruption. Spine. 2000;25:2601-2607. Onik G, Maroon J, Davis GW. Automated percutaneous discectomy at the L5-S1 level. Use of a curved cannula. Clin Orthop. 1989;238:71-76. Ray CD. Threaded fusion cages for lumbar interbody fusions: economic comparison with 360° fusions. Spine. 1997;22:681-685. Saal JS, Saal JA. Management of chronic discogenic low back pain with a thermal intradiscal catheter. A preliminary study. Spine. 2000;25:382-388. Yorimitsu E, Chiba K, Toyama Y, et al. Long-term outcomes of standard discectomy for lumbar disc herniation: a follow-up study of more than 10 years. Spine. 2001;26:652-7.